A recent discovery at the Loeb Music Library came about as a result of the domino effect of space issues. Last year we accessioned a series of Chinese music which was best housed in the music library, Mus 549.601. Beautifully cataloged by our own Lingwei Qiu, the series was entirely in Chinese, and therefore needed the added discoverability of storage within the library. Finding space, however, required a larger weeding project. Sandi-Jo Malmon, our collections development librarian, worked with fellow librarian Bob Dennis to target librettos which could be moved to offsite storage, thus freeing up space for the Chinese collection. In preparing the librettos for offsite storage, a number were targeted for revised cataloging and placement within the Merritt collection, as they were much older, rare editions, or had an interesting provenance. One work, originally targeted for inclusion in Merritt as a first edition Italian language libretto of Sacchini’s Oedipe à Colone, presented some surprises. Merritt Mus 575.156. Nicola François Guillard, Oedipe à Colone. The work was donated by Col. Charles W. Folsom (1826-1904) of Cambridge in 1874 (he was an 1845 Harvard College alumnus). Charles W. Folsom’s father Charles Folsom (1794-1872) was an alumnus of the Harvard Divinity School, and is the central figure of this story. After earning his divinity degree from Harvard, the elder Folsom served as a chaplain in the Navy, stationed on the Washington, then in the Mediterranean. His duties also serving as tutor to the Washington midshipmen, a group that included a teenager named David G. Farragut (1801-1870). Farragut would go on to become the first admiral of the United States Navy, perhaps best known for his service in the Civil War as a flag officer, particularly in the Battle of Mobile Bay in 1864. In the fall of 1817, after Folsom had been appointed American consul in Tunis, Farragut left the Washington to continue his studies with his tutor for an additional nine months. Returning to our libretto, however, we learn that Farragut spent some time in the early part of 1817 in Italy. 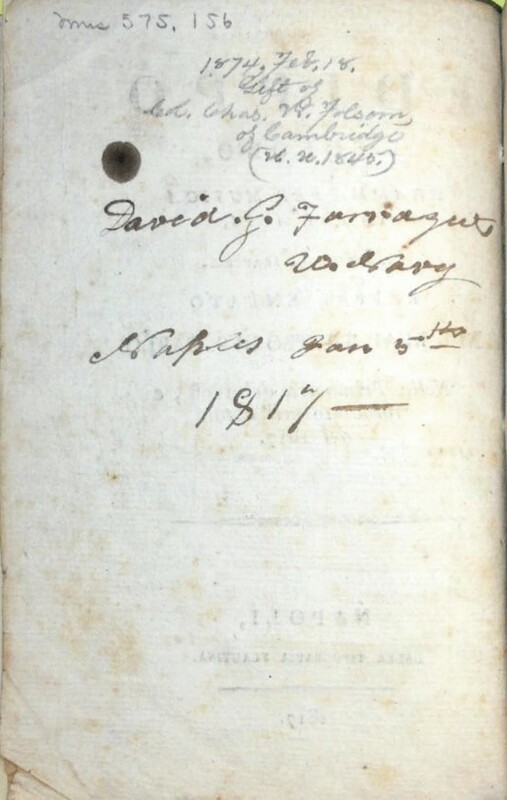 On the title page verso, we find Farragut’s signature, along with the place and date of the performance, Naples, Jan. 5th, 1817. This libretto clearly found its way into the collection of the elder Folsom, with whom Farragut developed a lifelong friendship. Folsom also served as a librarian at Harvard from 1823-1826, and taught Italian. Harvard would later receive donations of his work from his son and, later, a larger donation from his grandson in the 1920s, the Charles Folsom Papers, 1829-1855, now at Houghton Library. Schneller, Robert J., Jr. Farragut: America’s First Admiral. Potomac Books, 2002. Sears, John Randolph. David G. Farragut. George W. Jacobs & Company, 1905. While it is a cliché of blogging to apologize for one’s long absence while quietly rejoining the online conversation, nevertheless: apologies! We’re back, with quite a backlog of recently (and not-so-recently) digitized items to tell you about. Let’s begin with some Handel by way of Mozart, shall we? Timotheus, oder, die Gewalt der Musik : eine grosse Cantate / aus dem Englischen des Dryden übersetzt von Carl Wilhelm Ramler ; in Musik gesetzt von G.F. Händel ; instrumentirt von W.A. Mozart. A very rare libretto for Handel’s Alexander’s Feast, arranged by Mozart in the summer of 1790, for a probable performance in 1791. 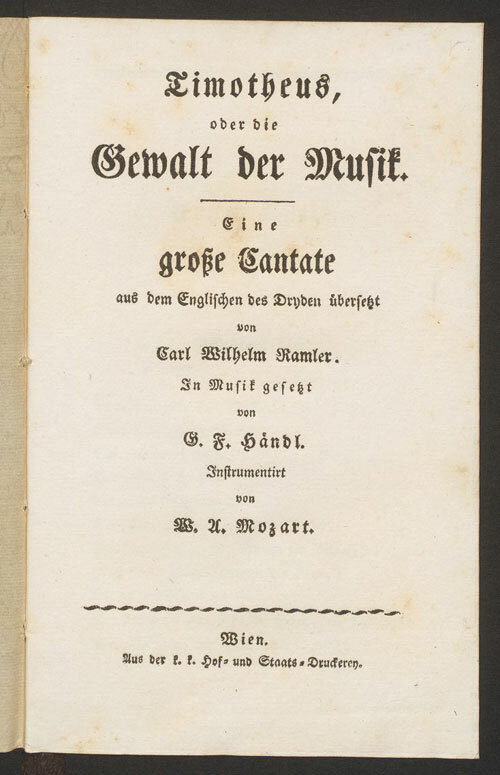 This arrangement (K. 591) was one of four – with Acis and Galatea, Messiah, and Ode for Saint Cecilia’s Day – commissioned by Mozart’s patron Baron von Swieten for the concerts at the Gesellschaft der Associierten. 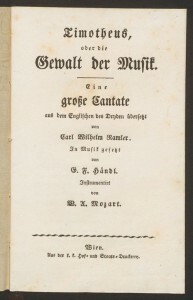 Find a critical edition of Mozart’s score in the NMA Online (Neue Mozart Ausgabe: Digitized Version). 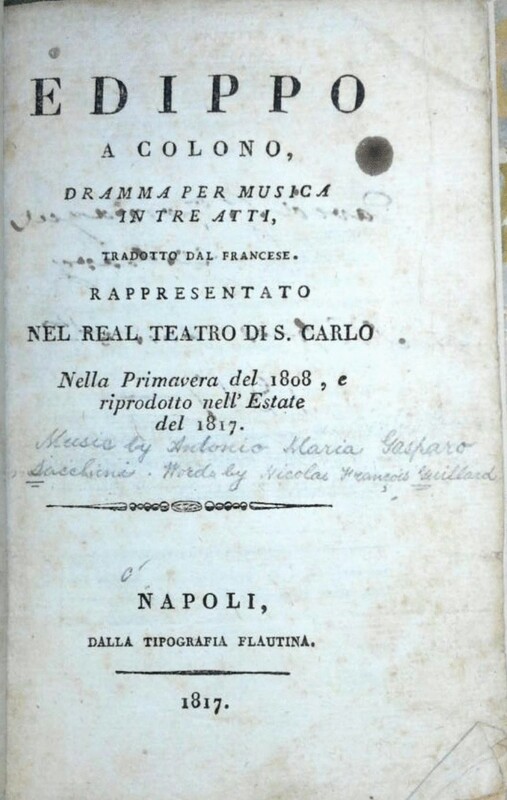 Handel’s manuscript is part of the Ricasoli Collection at the University of Louisville, and is available in the IMSLP, with a 19th century Peters edition of the Mozart arrangement.